A view from the road to Rusasa Health Center in Butaro sector, Rwanda, in February. 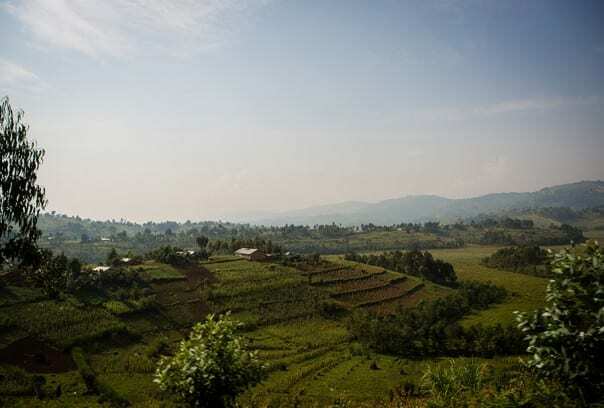 Rwanda has long been a front-runner in the race to achieve the Millennium Development Goals, those eight benchmarks in health, education, and other areas that United Nations member states aim to hit before the end of 2015. A report out this month shows that the country might be even farther along than expected. Rwanda’s Demographic and Health Survey — which includes information on everything from HIV prevalence to infant mortality, assembled from a survey of thousands of homes—shows big gains since the last such study, released in 2010. Highlights? The number of women dying from complications due to pregnancy or childbirth dropped by half, to roughly 1 in every 475 births. The chances that a child will die before age 5 decreased to 1 in 20—still high, but a 35 percent reduction nonetheless. And virtually every young boy and girl is still vaccinated against basic diseases such as polio. Looking back at the state of health care in 1990, as the Goals do, Rwanda’s advances appear flat-out terrific. "In the 30 years that I've been involved in the provision of health care services to the poor and marginalised, I can think of no more dramatic example of a turnaround than that achieved in Rwanda," PIH Co-founder Dr. Paul Farmer told The Guardian. Credit goes to the Rwandan Ministry of Health, which considers providing equal access to high-quality health care an imperative, and to PIH sister organization Inshuti Mu Buzima. Since 2005, PIH/IMB has partnered with the Ministry of Health to build hospitals, train nurses, accompany patients through treatments, and make sure that even the most rural farmer has easy access to a well-equipped expert in scrubs. What does this mean for Rwanda’s shot at becoming a Millennium Development Goals champion? The government promises a thorough analysis of the data soon. And a U.N. spokesperson says they will publish a progress report on the Goals on July 6. But when staff, officials, supporters, and community health workers gather for IMB’s decennial in Kigali on July 7, the party will certainly celebrate big achievements—and maybe even Millennial milestones.